David Braben is a legend in the industry. The UK designer has been involved in videogames since the early 80’s, putting his name to some of the most influential games ever made; most notably Elite and one of the first ever solid 3D games, Zarch. With this in mind, Braben is the ideal candidate for our ongoing ‘Getting to know…’ series of interviews, in which TVGB attempts to reveal the people behind the games we play. Here we chat the Frontier Developments boss on his highs and lows, his top 3 industry changing titles and his greatest influences. That VideoGame Blog (TVGB): You’ve been in videogame design and development for over 25 years now. After all this time, what factor above all others motivates you to get out of bed in the morning? David Braben: I still enjoy what I do. All the time it seems there is something new, interesting or exciting around the corner, both in technology and in the opportunities they offer. I suppose it still all feels new; Frontier has grown consistently since it was formed, and so each year feels very different to the last, in terms of the complexities of running such a company, but also the sort of things we are doing, and the sorts of things the industry is doing. TVGB: Are you the same person you were when you first started out? David Braben: I think so. In many respects, it only feels like a little while since Elite came out. I’d like to say I was older and wiser – but I’m probably just older. TVGB: From a personal perspective, what is the proudest achievement of your career? David Braben: I’d like to think I haven’t done it yet! Clearly I was very proud of Elite – and in terms of life-changing achievements, i.e. comparing the ‘before’ and the ‘after’ – you don’t get much bigger than that, for which both Ian Bell and I were very lucky. A big element of it was clearly being in the right place at the right time, but I think even so, it is an achievement to be proud of, as there were a lot of ‘nay-sayers’ at that time too, and what we were doing was seriously unconventional for the time, but we persisted nevertheless. TVGB: The lowest point of your career? David Braben: I think the dreadful premature release of the First Encounters game, and the subsequent lawsuit with Gametek/Take Two (which I eventually won). It was a very bad time, particularly as you cannot talk publicly about such things while a lawsuit is in progress, and people jumped to all sorts of mistaken conclusions. TVGB: As the industry expands and videogame design courses multiply in Universities around the world, more and more people are looking to establish themselves in the industry. But what are the downsides of the dream job? David Braben: The industry is very competitive, and can lead to long hours at times. Having said that, I’m still glad to be a part of it. TVGB: What single mistake have you learned the most from? TVGB: What would you say are the three games that have changed the industry most in the last 25 years, and why? David Braben: Elite, RollerCoaster Tycoon, and GTA, each for different reasons. I include Elite, as in the years following its release it changed the way game publishers looked at what might be successful – I think a lot of the innovative game ideas that followed, from Populous to GTA, would have fallen on stoney ground, or at least would have required a lot more persuasion to get published. RollerCoaster Tycoon is included as it also changed the consensus within the industry. It was a game that was also very hard to get published – because it was 2D isometric, when the received wisdom said ‘all successful game are 3D’ – paving the way for a great many other ‘tycoon’ style games. Grand Theft Auto I think was the first game sold to a broad audience. Dave Jones employed Max Clifford to court controversy, not within the narrow gaming arena, but within the mass media, and they got it. A side effect has been to very much skew the opinions of that same mass media of games in general, something we are only just recovering from, but there is little doubt it changed the industry. TVGB: Is there a particular game that has influenced you and your work more than any other? 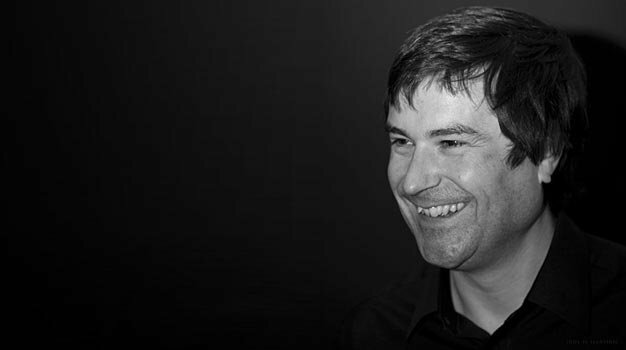 David Braben: Probably not one game, but many games have influenced me at different times. Is there a game you particularly admire that you wish you had worked on? Peter Molyneux’s Populous, as it stood apart from the other games at the time. Will Wright’s The Sims, too. I loved the purity of Eugene Jarvis’s Defender way back at the start of my career. The beautifully planned Zelda: Ocarina of Time from Shigeru Miyamoto. Many more besides. TVGB: Is there a particular developer/designer or team whose work you respect most? Someone you, if the opportunity would arise, would work with in a heartbeat? David Braben: Shigeru Miyamoto and his team at Nintendo have probably had the most consistent success at bringing novel ideas to fruition – something that is really hard to do, and deserves a great deal of respect. TVGB: What kind of an industry change are you looking forward to and rooting for the most? David Braben: Richness of experience – through gameplay, story/world, novelty – however it is achieved it is vital we work at achieving it. TVGB: If you had to choose between critical or commercial success, which would it be? David Braben: My heart says ‘critical success’ – but practically speaking commercial success is vital in order to keep driving things forwards. In truth, both are very important, and in fact usually go hand in hand to some degree at least – piracy being a big factor that might greatly reduce any corresponding commercial success. My head says ‘commercial success’ – as this implies some degree of critical success too. David Braben’s Frontier Developments recently released LostWinds: Winter of the Melodias on WiiWare to critical praise.